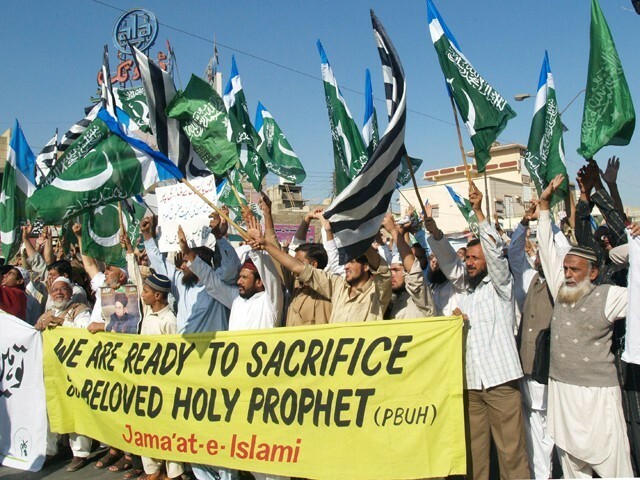 On October 31, 2018, violent protests and demonstrations led by the religious party Tehreek-e-Labbaik Pakistan (TLP) broke out across the country in connection with the judgment of the Supreme Court of Pakistan (SCP) about the Asia Bibi blasphemy case. It is notable that the constitution of Pakistan is Islamic and SCP verdict in the Asia Bibi case is in accordance with the constitution and has legal reasons for the decision. The reaction to the SCP decision by a small segment of the society is not the opinion of the nation. But, during the violent protests, the language used by the leaders of TLP, especially its head Mulla Khadim Rizvi against SC judges, the army chief and others were excruciating was not the character of a true Muslim society. By inciting the people against judges; army and state institutions, TLP leaders were doing a disservice to the country. It is mentionable that Pakistan has vociferously raised the issue of blasphemous caricatures in Netherland and truly became one of the reasons to halt the contest. Pakistan is endeavouring to get onto the route to prosperity and any protest in the country will cause damage to the fragile national economy. In this regard, in his address to the nation, Prime Minister Imran Khan said on October 31, 2018, that he had been compelled to communicate with the nation due to the reaction given and language used by a small segment in response to the SC verdict. Pakistan was founded in the name of Islam and the verdict given by the SC is in accordance with the Constitution, which is in line with the teachings of the Holy Quran and Sunnah. He sharply criticized the protests which broke out and continued for three consecutive days, saying people’s livelihood was being harmed through the roadblocks and demonstrations. In this respect, Director General (DG) of Inter-Services Public Relations (ISPR) Maj-Gen Asif Ghafoor on November 2, 2018, distanced the army from the controversy surrounding Asia Bibi’s acquittal, saying that the decision had been taken by the courts and the army had nothing to do with it. However, the fact that the government or the army had no linkage with the Supreme Court decision in relation to the Asia Bibi case, but, TLP actions were found to be well orchestrated as if their strings were being pulled from somewhere else. The narrative of TLP this time precisely matched with the well-known narrative of PML (N) that is to malign army, censure judiciary and target the current government. Hence, it is not far from possible that the cleric had fallen prey to the dirty politics of the corrupt-convicted political leadership of the country, in addition to his own destructive philosophy. What else an individual like Khadim Rizvi deserves, if he openly starts to incite hatred among the general public against the state, the government and its institutions and most seriously, provoking mutiny amongst the armed forces against its leadership? Therefore, the apprehension of TLP leadership was taken very positively by the people from all walks of life, as they understand that Maulana Rizvi was not only troubling the common citizens through his call for agitation but was also challenging the writ of the state which was not tolerable. Sedition and treason imprint created by him by passing provocative remarks against the government and the state institutions indicate that he is also a victim of outside influence in addition to his own activities. This portrays him as becoming a tool in the hands of anti-Pakistan forces which is even more horrifying. These forces could be both local and global which can use segment at the time and place of their choosing in future. While the authority of the state is prime and no individual or organization can be permitted to create disorder as was done by Rizvi and his associates. His apprehension along with his accomplishments is a step in the right direction strictly according to the constitution of this country. Perpetrators must be awarded exemplary retributions through a legal course of action so that such incidents are not repeated in future by this group or any other such outfit in the country. Besides, TLP must be banned as a political party and its bank accounts and properties should be seized. CNIC (National Identity Card) and passport of its leaders should also be cancelled. The election commission may review its policy on allowing such parties to contest the election. Moreover, scrutiny of the source of funding of both TLP and Tehreek-i-Labbaik Ya Rasool Allah Pakistan (TLYRAP) must be carried out and actions should be taken to stop illegal /anti-state funding. A crackdown should also be executed by the government to seize and punish those who incite hatred, sedition and mutiny on the social media. In this connection, all the twitter and other social media accounts and websites which are involved in such activities should be blocked instantly through Pakistan Telecommunication Authority (PTA). A policy paper may also be finalized after necessary legislation by the parliament to cease such negative endeavours by individuals and groups and be implemented through PTA and Federal Investigation Agency (FIA”. Furthermore, all the Madrassas operated by the TLP must be shut down and their students must be absorbed in regular schools. Though everyone has the right to freedom of speech, no one has the authority to spread abhorrence and intolerance. More so, challenging the writ of the state by organizing sit-ins and causing damage to life and property of the general public is totally unacceptable and unpardonable. The fate of such scamps should be nothing, but total disbandment and retributions for their deeds. Having a strong foundation, the Kingdom of Saudi Arabia and Pakistan are maintaining a close friendship with each other, which covers religious, strategic, military and economic interests of a great magnitude. People of Pakistan have a strong attachment to Islam. Hence, they enormously respect Saudi Arabia as the origin of Islam, where the two holiest cities Mecca and Medina are situated. Millions of Pakistanis visit Saudi Arabia each year for pilgrimage of Hajj and Umrah. Historically, since its inception, Pakistan has maintained cordial ties with Saudi Arabia. Pakistan has played a significant role in the overall development of Saudi Arabia. It has been training Saudi military personnel. In this regard, during the 1970s, Islamabad signed defence protocol with Saudi Arabia, under which Pakistan Armed Forces were dispatched to Saudi Arabia to impart professional training. A majority of the officials of the Armed Forces are being sent there on deputation. As regard the strategic side, since the 1950s, Pakistan’s all successive governments have assured Riyadh that whenever there is a threat to Saudi security, Islamabad will come to its help. In this respect, throughout the 1970s, Pakistani troops were stationed in Saudi Arabia near the Israeli border. In 1979, the siege of Ka’aba and the Great Mosque (Al-Haram Mosque of Mecca) was ended with the assistance of Pakistan’s special military forces. During the 1980s, an extraordinary number of Pakistani troops were stationed in Saudi Arabia, especially for internal security of Saudi Arabia. Similarly, during the Gulf War of 1990-91, thousands of Pakistani troops were dispatched to Saudi Arabia for the defence of that country. At present, Pakistan is one of the 41 members of the Saudi-led Islamic Military Counter Terrorism Coalition (IMCTC) which is being headed by Pakistan’s former army chief, Gen. Raheel Sharif. Historical depth of relationship between Pakistan and Saudi Arabia could be judged from the pre-partition of the Sub-continent. In this connection, in April 1940 when the Crown Prince Saud bin Abdul Aziz paid a visit to Karachi, he was warmly welcomed by leaders of the Muslim League, including MAH Ispahani, MA Maniar and Karim Bhai Ibrahim, that laid the foundation of Pak-Saudi ties. The Crown Prince was accompanied by a large delegation, including his five brothers, Faisal, Saad, Fahd, Mansoor and Abdullah. In 1946, Jinnah (Founder of Pakistan) sent the Pakistan movement delegation led by Ispahani, including Begum Jahanara Shah Nawaz, to the United Nations. While the Indian National Congress team was obstructing Muslim League envoys’ engagements, Prince Faisal bin Abdul Aziz, who was leading the Saudi delegation, came to their rescue. Saudi Arabia invited Ispahani and his colleagues to the official reception in honour of all other UN delegations at the Waldorf Astoria Hotel. Prince Faisal then introduced the members of the Pakistan Movement to other delegates, and thus, they explained their struggle for a separate homeland. When Bangladesh suffered severe famine in 1943, Riyadh responded to Jinnah’s appeal for humanitarian aid. King Abdul Aziz sent the first foreign donation amounting to £10,000. 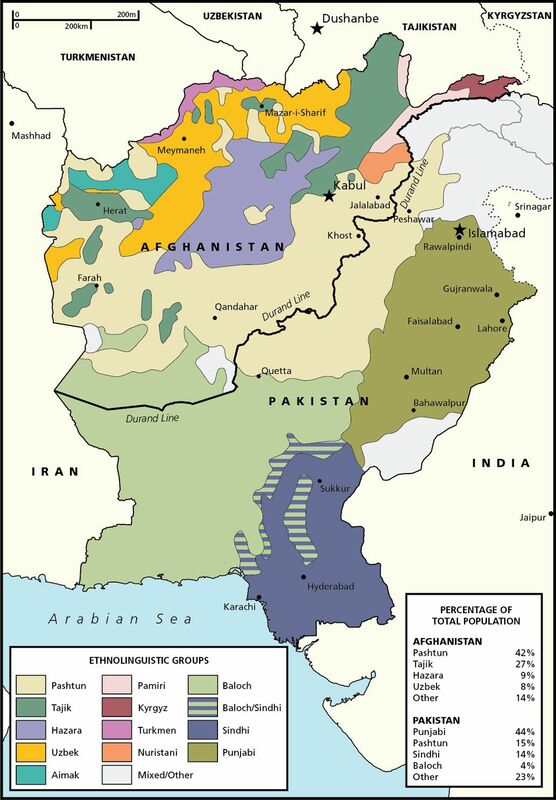 After the creation of Pakistan, Arab merchants who had been settled in Indian seaports of Mumbai and Calcutta migrated to Pakistan, particularly Karachi. In 1954, King Saud took Karachi, the then capital of Pakistan by naming Saudabad town in his name, while laying the foundation stone for a housing scheme there. King Faisal was equally respected by the Pakistanis and their government, naming a key Karachi road, Shahrah-e-Faisal, a vital airbase after his name. Similarly, Lyallpur, a city in central Punjab, was also named as Faisalabad in his honour. The Faisal Mosque in Islamabad was constructed after a $120 million grant from Saudi King Faisal. However, all these facts show a major interest on the part of Saudi Arabia in a non-Arabic speaking Muslim nation. In 1965 and 1971, Saudi Arabia supported Pakistan in the two wars with India. It stood directly behind Pakistan on the post-1971 War-related issues like return of PoWs and non-recognition of Bangladesh. 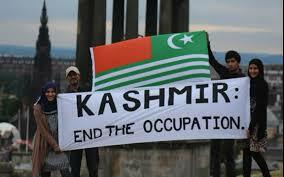 It has always favoured Islamabad on the Kashmir issue. During the 1970s, Saudi leadership responded to the then Prime Minister Zulfiqar Ali Bhutto’s request for financial assistance in order to respond to India’s nuclear ambitions after the first Pokhran test. 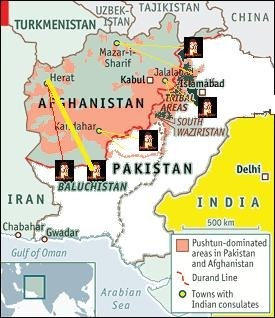 In 1980s, during the military intervention of the former Soviet Union in Afghanistan, Pakistan saw it as a direct threat to its own security and supported Afghan Mujahideen in their war of independence. Riyadh fully favoured Islamabad’s efforts, as it considered Pakistan’s security as its own security. Saudi Arabia delivered almost half of the multi-billion-dollar aid to Pakistan. In May, 1998, when after the nuclear tests, sanctions were imposed on Pakistan by the United Sates and some other Western countries, Riyadh supplied oil to Pakistan free of cost for several years. In this regard, Saudi Arabia provided 50,000 barrels of oil per day to Pakistan for a year; amounting to about one-sixth of Pakistan’s total oil imports on deferred payment. In March, 2014, Saudi Arabia donated $1.5 billion unconditionally to Pakistan as a gift to help Islamabad shore up its foreign exchange reserves, meet debt-service obligations and undertake large energy and infrastructure projects. Apart from agreements for mutual cooperation in various fields, Pakistan and Saudi Arabia enjoyed exemplary working relationships in the field of weather and climate. Pakistan decided in July, 2017 to send its two climate change experts to Saudi Arabia to help it establish a climate change centre and numerical model of predictions of severe weather. Now, over two million Pakistanis employed in Saudi Arabia send home remittances amounting to nearly four billion annually. The Kingdom is the largest market of the Pakistani manpower worldwide, with its embassy in Islamabad issuing 30,000 visas every month. At present, Saudi-Pakistan bilateral relations are based on mutual respect and consideration of each other’s problems and peculiar circumstances. Their ties have never been a one-way relationship. Pakistan has always stood by the Saudi Arabian nation in times of war and peace and has always reciprocated in the same terms. Although Pakistan is an atomic power, yet it has serious security concerns, especially due to Indian aggressive designs. In the recent past, Riyadh turned down Indian Prime Minister Narendra Modi’s proposal for a defence pact when he last visited Saudi Arabia. The trip of Kingdom’s defence minister, Mohammed bin Salman to Islamabad just four days after that of the Foreign Minister Adel al Jubeir might be cited as instance, as Riyadh understood Pakistani apprehension. While, terrorism and extremism are a common concern for the Kingdom and Pakistan, particularly after the emergence of the Islamic State group (Also known as Daesh, ISIS and ISIL). Pakistan and Saudi Arabia have suffered heavily owing to terrorism. Both the countries share common goals to eliminate extremism in their countries. And from time to time, visits of their countries’ leaders and top officials, including various delegations display that Pakistan and Saudi Arabia seem determined to continue their strong relations in future. In this respect, in March 2016, Pakistan’s former Prime Minister Nawaz Sharif and the former Chief of Army Staff, Gen. Raheel Sharif had visited Saudi Arabia. They held meetings with the Saudi rulers. Likewise, Pakistan’s army chief Gen. Qamar Bajwa and former Prime Minister Nawaz Sharif paid a visit to Riyadh on June 12, 2017, where they met Saudi leadership. Nevertheless, we may conclude that Saudi-Pakistan bilateral relations have a strong foundation, as the two countries are maintaining a close friendship which is likely to be continued in future.